Why should you choose Medical Coding and Medical Billing over other professions? By opting for medical coding and medical billing programs, one can aim for a prospective future in the health care industry. Healthcare Industry has and/ never seen recession. As this program is not limited to students from science or medical background, anyone can opt for it soon after completing their graduation. The cost involved in this training program is very justified with the career growth than the other professions. As soon as the training program gets completed, the candidates become assured of a secured job, with a good pay. They are hired by all Multinational companies throughout India and abroad with good package. Just remember one very IMPORTANT thing, that is, Medical Coding and Billing is related to USA Healthcare Industry and one has to work with the Doctors, Hospitals, Insurance Companies of USA Healthcare community, so, this is a very knowledge driven Industry and all the Multinational companies working with the USA Healthcare are always looking for the professionals who has acquired an excellent knowledge. Who all can apply for the Medical Coding and Billing program? The minimum eligibility to apply for the Medical Coding and Billing program is a graduate degree. The candidate can be from any stream. Medical Coding is for graduates and postgraduates from various streams such as B.SC, M.SC, BAMS, BUMS, BPT, MPT, life science, pharmacy, microbiology, biochemistry, etc. Medical Billing is preferred by graduates from BA, B.COM, MA, and M.COM. Any graduate who knows basic mathematics can also opt for this course. What career options can I opt for after pursuing the Medical Coding Courses? You can opt for a Medical Coder job initially. As you become experienced you start getting the benefits of being experienced and salary hike from 20-25% per year. You can again do the further study which are available in this Industry as given below for your future career growth and so on. How much expenditure is incurred in the courses offered by ELATE Academy? What is the duration of time undertaken in each course? Where do I see myself after completion of the courses offered by ELATE Academy? We provide you placement assistance to be hired by various Companies all over India. What makes ELATE ACADEMY Training so Special? Students who complete this course via ELATE ACADEMY, are SURE to pass the CPC exam. Flexibility to complete the course at your own pace on your own schedule without travelling daily. Online Course materials (LMS) helps you to learn step by step coding process. Expert CPC certified coaches available to answer questions always. Low cost compared to other NON Approved training institutes. Hands on practice coding real world, redacted medical records using CPT®, ICD-10-CM and HCPCS Level II code sets. Increase your chances of being hired / retained in a competitive job market. 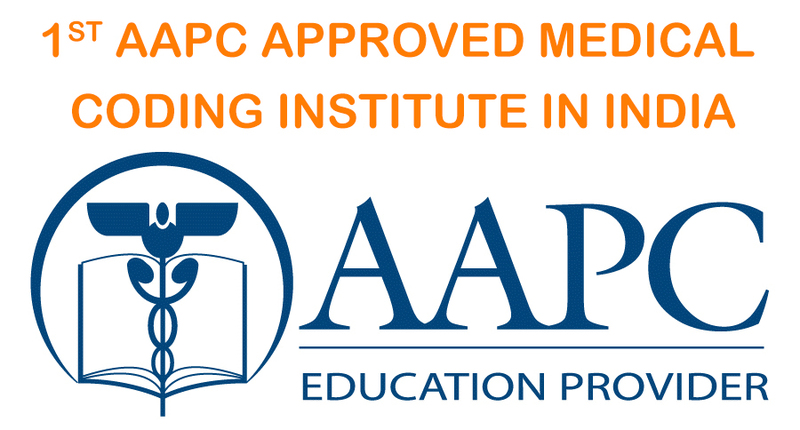 Online Practice on AAPC Approved software on Coding and Mock Tests, to check your preparedness for International Certification in Coding, i.e CPC. EXTERNSHIP, Opportunity to get live coding experience.